In addition to our regional offices in Asia, Europe, Latin America and the U.S., HCWH has a set of strategic partnerships with organizations who represent our interests in a number of countries. These organizations generally lead the development and implementation of HCWH-related work in their country, including our Global Green and Healthy Hospitals Network and the Healthy Energy Initiative, while also participating in international program development. The Climate and Health Alliance was established in August 2010 and is a coalition of health care stakeholders who wish to see the threat to human health from climate change and ecological degradation addressed through prompt policy action. This commitment is based on the understanding that further global warming poses grave risks to human health and biodiversity and if left unchecked, threatens the future of human civilisation. The impetus for the establishment of the Alliance was the call from the May 2009 issue of the international medical journal The Lancet calling for a public health movement that frames the threat of climate change for humankind as a health issue. CAHA’s members recognise that health care stakeholders have a particular responsibility to the community in advocating for public policy that will promote and protect human health. The Alliance aims to contribute to the development and implementation of evidence based public policy to reduce greenhouse gas emissions and protect the health of the community. 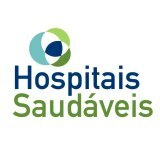 Projeto Hospitais Saudáveiis (PHS) is a nonprofit association dedicated to transforming the health sector at an example to the whole society in aspects of environmental protection and health of the worker, the patient and the general population. Rock Environment & Energy Institute (REEI) aims to provide research support for NGOs and corporations. They focus on such environmental and energy issues as climate change, energy policy, air pollution, carbon market, and municipal solid waste management. Their mission is to be an independent think tank in pursuit of justice and sustainability. Besides training villagers in the science of pollution, the Community Environmental Monitoring (CEM) initiative seeks to involve villagers in the fight against pollution by engaging them in environmental and health monitoring, and sustainable livelihood activities. Knowledge translation intended to operationalize research results by bridging the critical gaps between relevant research and effective implementation, through analytic work, capacity building, advocacy and development of educational resources for enhancing the empowerment of people and professionals. groundWork is a non-profit environmental justice service and developmental organization working primarily in Southern Africa in the areas of Climate & Energy Justice, Coal, Environmental Health, Global Green and Healthy Hospitals, and Waste. groundWork seeks to improve the quality of life of vulnerable people in South Africa, and increasingly in Southern Africa, through assisting civil society to have a greater impact on environmental governance. Health Care Without Harm also works in partnership with international organizations around the globe.